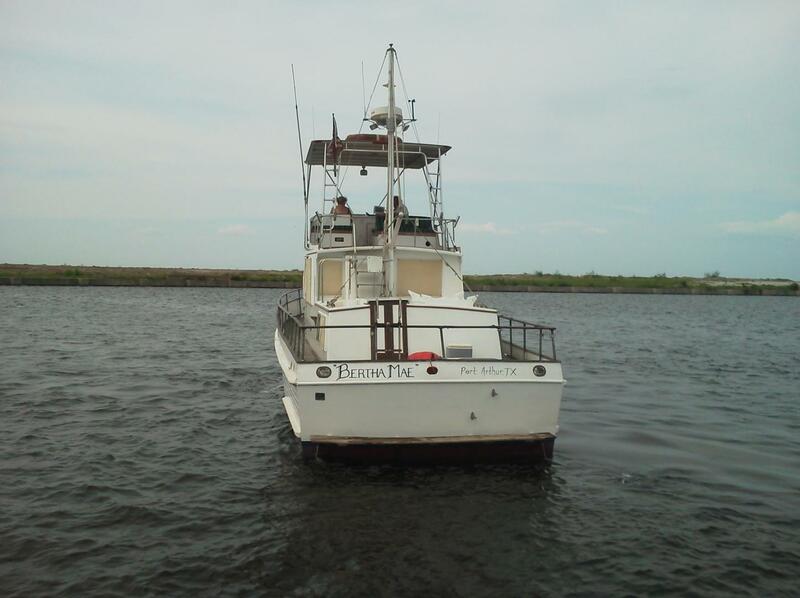 The Bertha Mae has all the charm one would expect from this classic long range cruiser with most of her original bronze hardware but with some nice recent upgrades including electronics, topsides paint and fly bridge hard top. 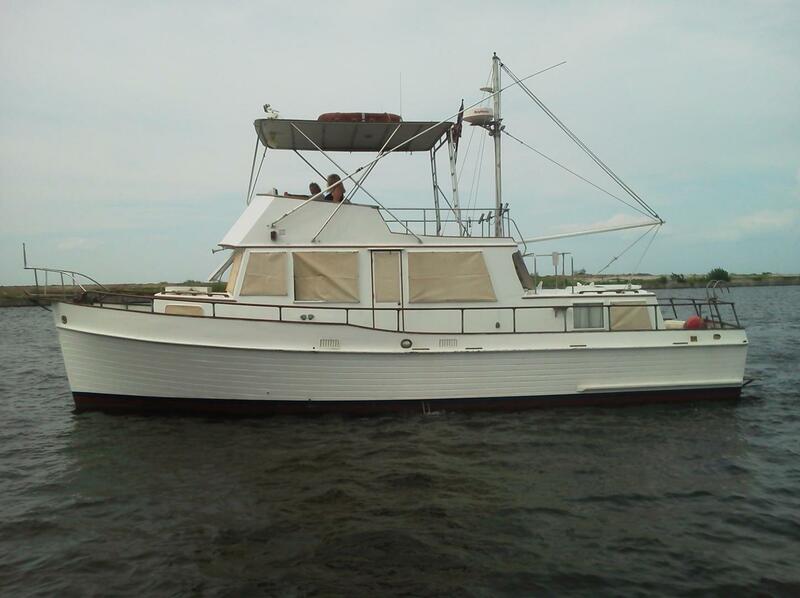 The seller’s change in plans causes him to offer this Grand Banks Classic for sale!! 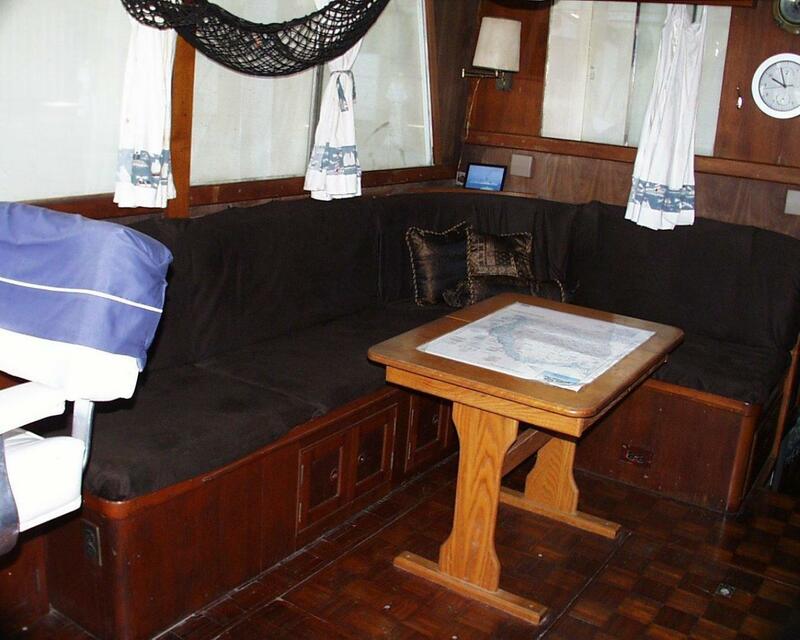 The Bertha Mae sleeps a total of five with two in each of the staterooms and one on the salon settee. 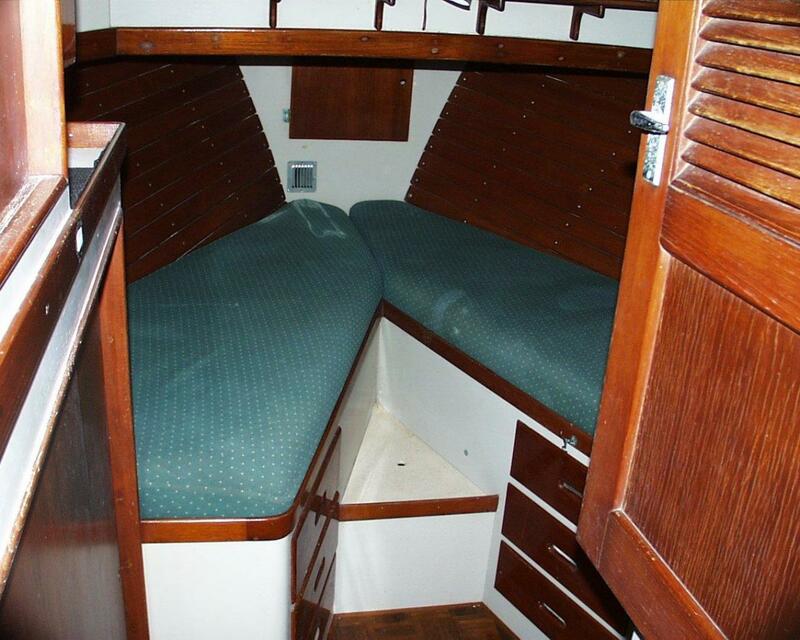 Beginning forward is the guest stateroom with port and starboard twin berths, drawer and hanging storage and a private head with shower. 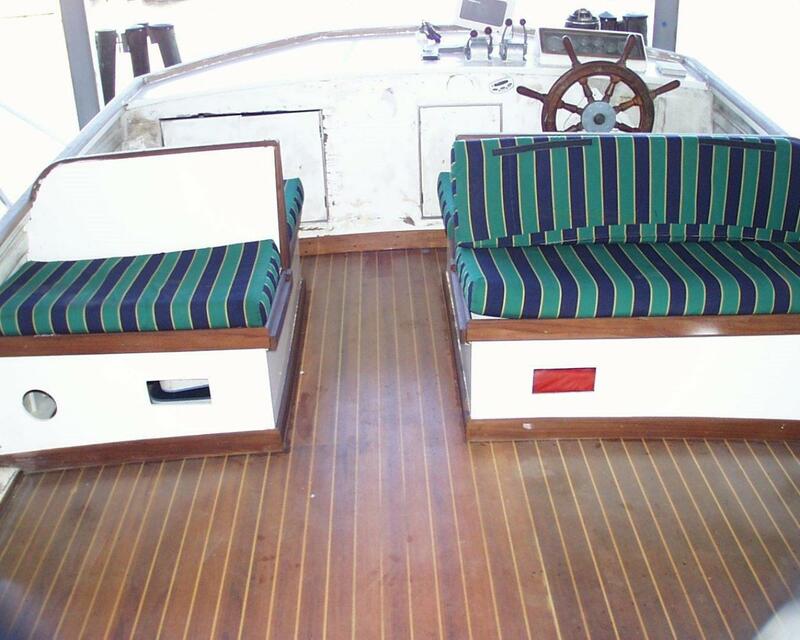 Moving aft and up four steps is the salon with a full galley to port, lower helm station forward and to starboard with a built in L-shaped settee aft and to starboard. 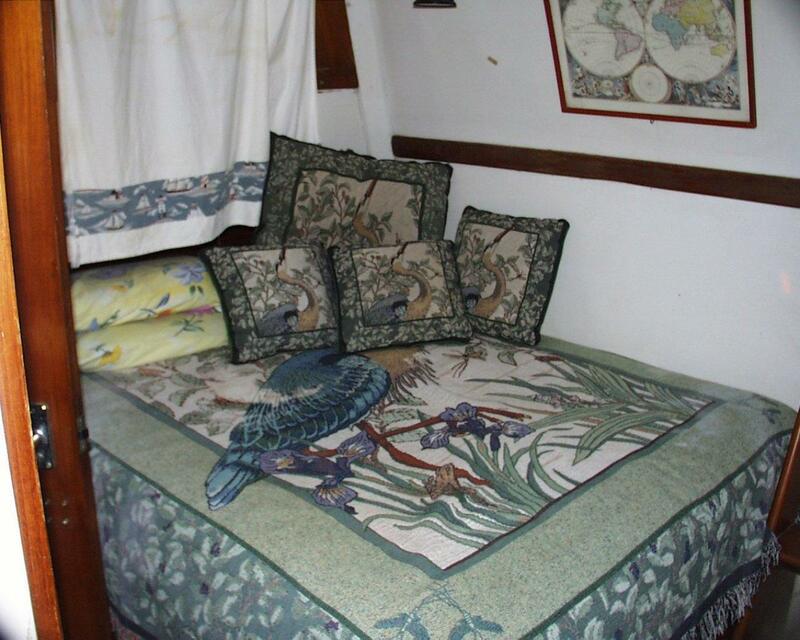 Access to the master stateroom is aft with a queen berth to starboard with the original port twin berth removed to create a more spacious master suite. The full head with separate stall shower is forward and to starboard. The décor is mostly teak paneling, trim and cabinetry with teak parquet flooring through out but with some Formica and or white painted walls. The galley is up and to port of the salon with white Formica counter tops, Single stainless steel sink, Princess three burner propane stove and oven, and oak dinning table. 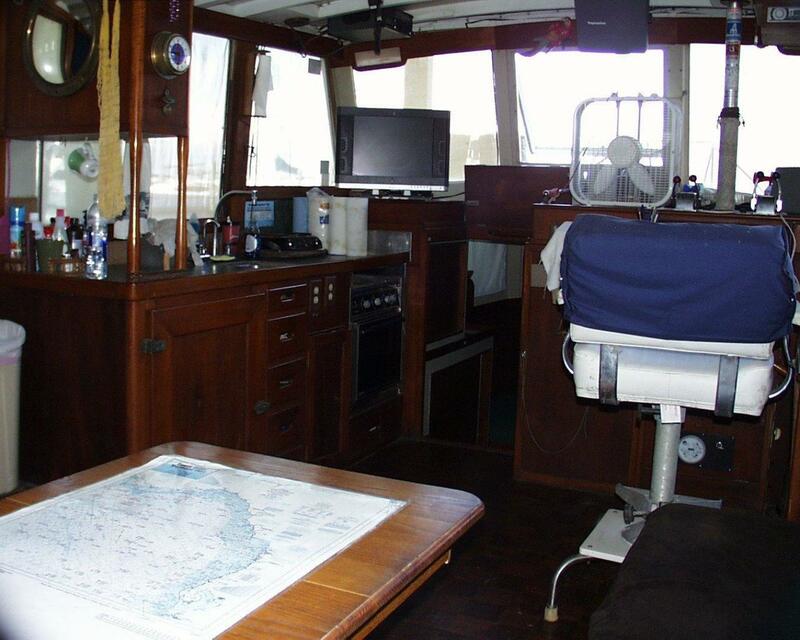 Raymarine L760 color fish finder, AP300X autopilot, Horizon Intrepid VHF, Raymarine L1250 plotter/radar, AM/FM/CD/IPOD player with four speakers, and 19” flat panel color TV. 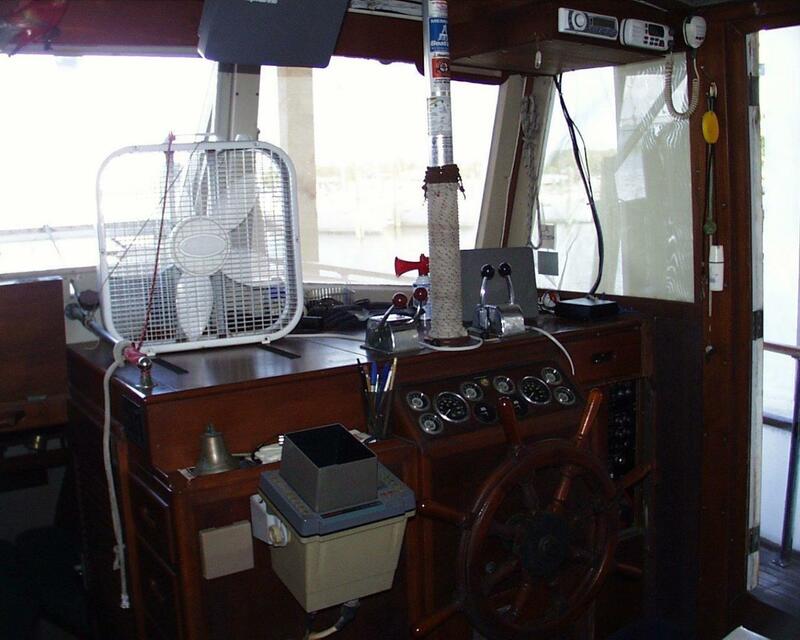 twin 120 HP Lehman diesels with _______ hours, seven spoke teak steering wheel, Morse and Teleflex engine controls, 8 KW _____ generator with ____hours, upper and lower helm stations, and 220 volt 50 amp shore power cord. 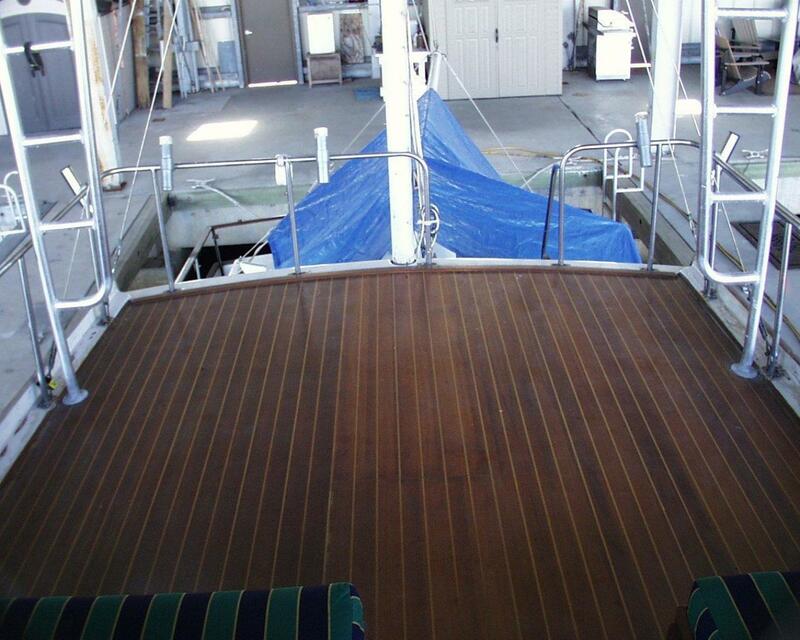 Teak decks freshly sanded and oiled, Ideal electric anchor windlass, Danforth anchor, teak bow pulpit, teak hand rails with original bronze stanchions, boom and mast for davit and or steadying sail (Not Included), freshly painted topsides, welded aluminum fly bridge hard top half tower, 12 volt spreader lights, stainless fly bridge rail, port and starboard wing doors to walk around decks, mesh front window cover, single fly bridge helm seat with port and starboard back to back bench seats with blue and green striped Sunbrella cushions, and teak swim platform. What a great boat!!! 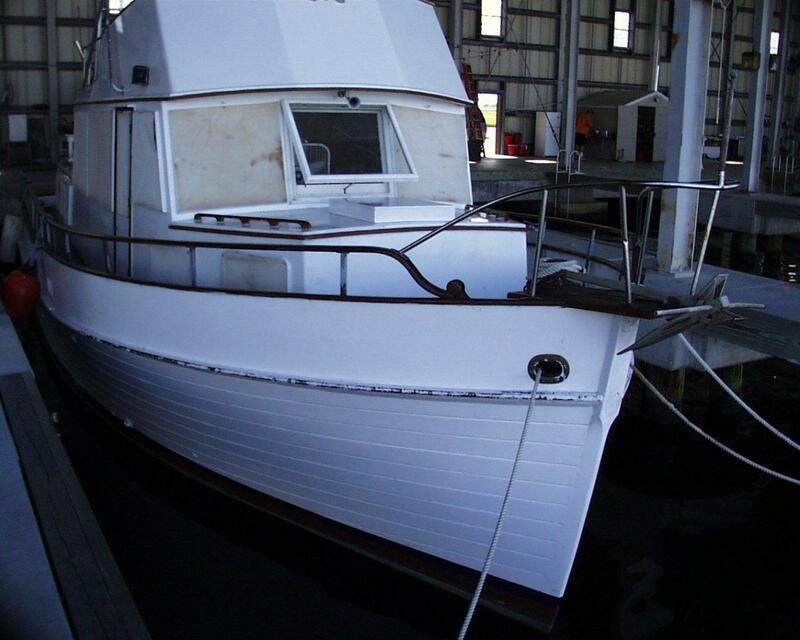 A proven classic and possible show piece for all of the wooden boat festivals and shows but with the added advantage of a perfectly acceptable cruiser or live aboard at a fraction of the cost of a comparable glass model.